The ‘using up leftovers’ hat. This hat was made in an evening using Sidar Big Softie (about 50% wool if I remember correctly). It’s using up the left overs from the Christmas crocheting I was doing. Very warm and snuggly and perfect for our prospective trip to Scotland in February. 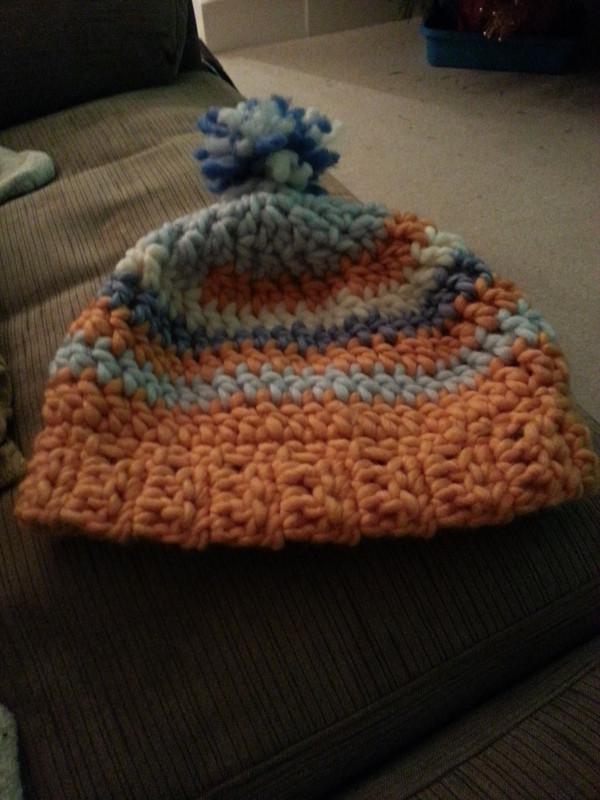 This entry was posted in Uncategorized and tagged crochet, crochet hat, left over yarn, using up leftovers, woolly hat by tanyakate. Bookmark the permalink.